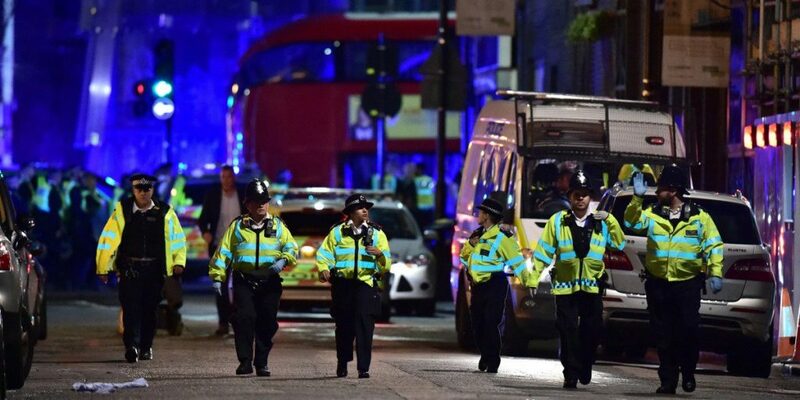 According to an eyewitness, a taxi driver, “A van came from London Bridge itself, went between the traffic light system and rammed it towards the steps. It knocked loads of people down. Events are still unfolding, and Police say there is more than one fatality.